Posted 28 November 2013 & filed under 17th century, Nunnery open space, Places and spaces. 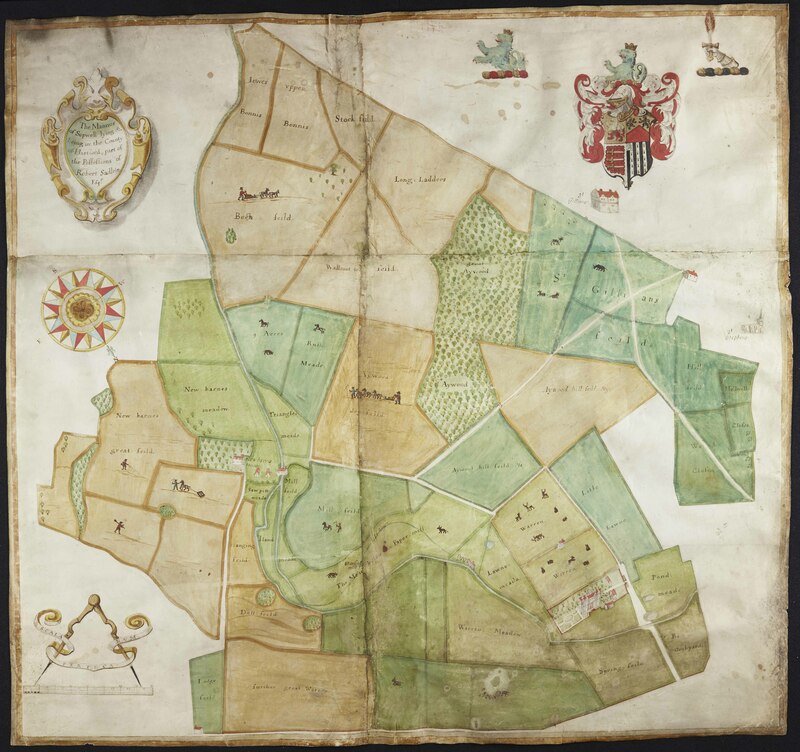 The original of this estate plan of the manor of Sopwell is in the Hertfordshire Archives and Library Services (HALS) in County Hall. The plan is dated 1666. Note that the building called Sopwell House in the bottom right hand corner, is the Tudor mansion built by Sir Richard Lee on the ruins of the Sopwell Nunnery in the 16th century. Three mills are depicted on the river: New Barnes mill, the Paper mill, which was later to become Sopwell mill although not exactly in the same place, and Stamford mill. St Gillians is really St Julians. St Stephens church can be seen clearly on the top right hand corner. Did anybody out there know the Fews who lived at 100 Tavistock ave.